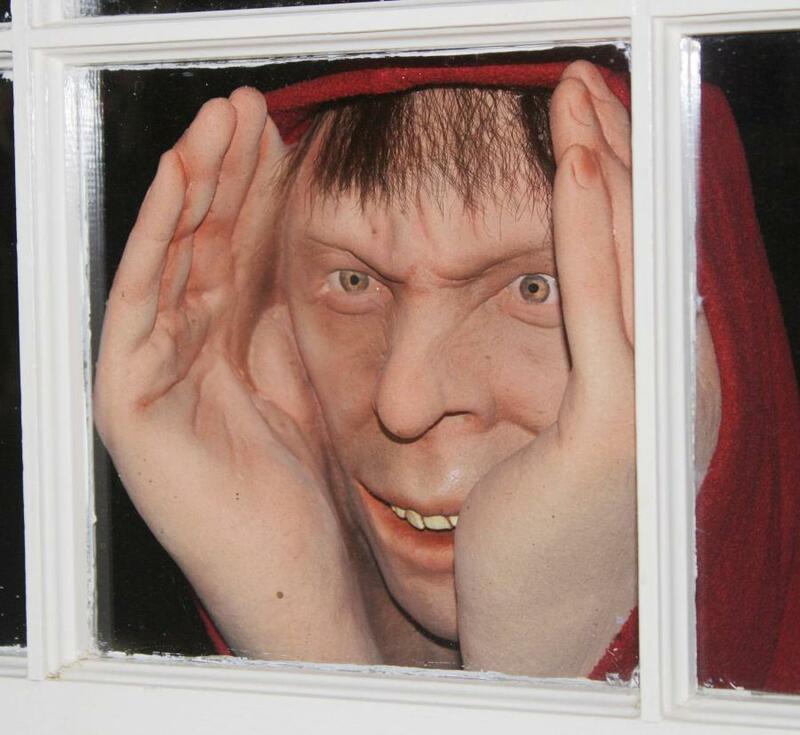 A "peeping Tom" window ornament offered for sale in the UK. Police haven’t informed the community about it (yet), but officers are paying particular attention to a small strip of Belmont Avenue in Boystown where a Peeping Tom has been rattling residents for over a week. The lurking pervert has been popping up inside and outside of apartment buildings in the 700 block of West Belmont since roughly New Year’s Day, according to a source. Most of the 911 calls about the man have been made around 11 p.m.
Last Friday, a man reported that a suspicious person was covering his peephole while holding “something” in his hand in a multi-unit building near Belmont and Halsted. Police believe the incident was related to an on-going peeping Tom issue. The suspect was described as a white man in a black striped shirt. The Peeping Tom reports have come from the 700 block of West Belmont, a police source said. Last night, a few doors east of Friday’s incident, a woman reported that someone was shining a flashlight into her bedroom window. She was unable to see the person because of the light. “The sexual gratification stems from the secrecy of the act, and the suspicions of the victim,” according to Dr. Eugene Viljoen. In a piece of good news, the site says that voyeurs are unlikely to try to make contact with their victims. Peeping Toms rely on fantasies about what they see rather than trying to turn those into reality, Health24 reported. Support exclusive neighborhood reporting by CWBChicago through our subscription program.